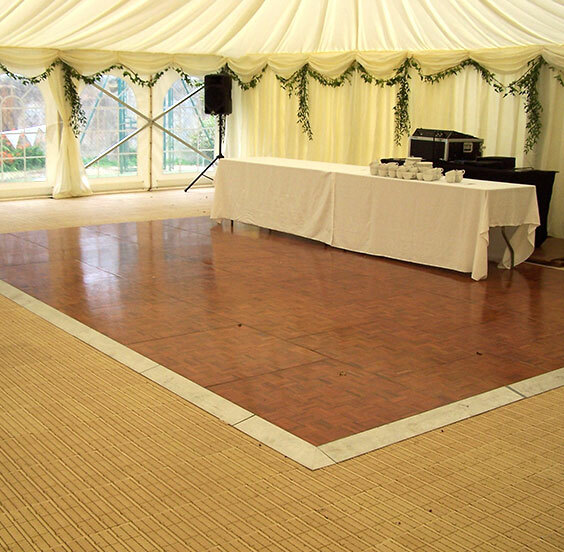 We have over 30 years of experience, helping us help you! 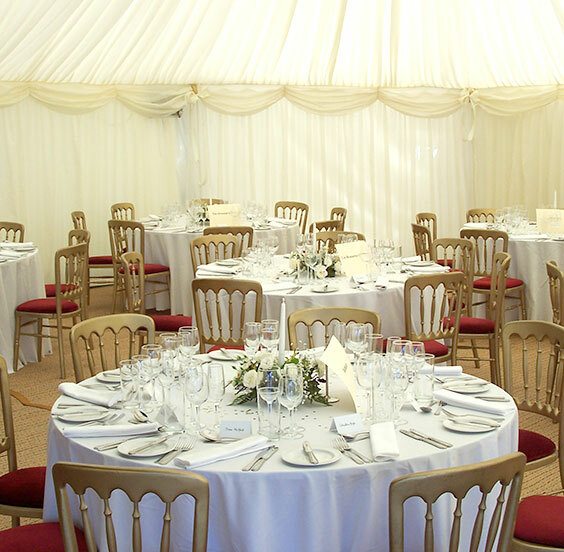 We liaise with all the suppliers for your big day so you don’t have to worry; we’ve got it under control. 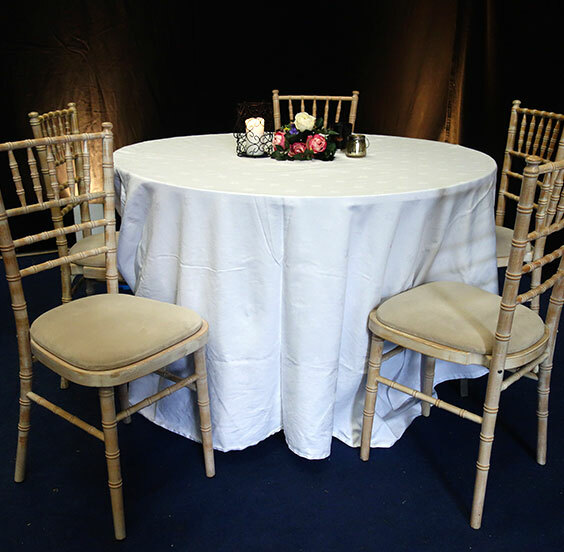 Head over to our links page to see who we work with and recommend. 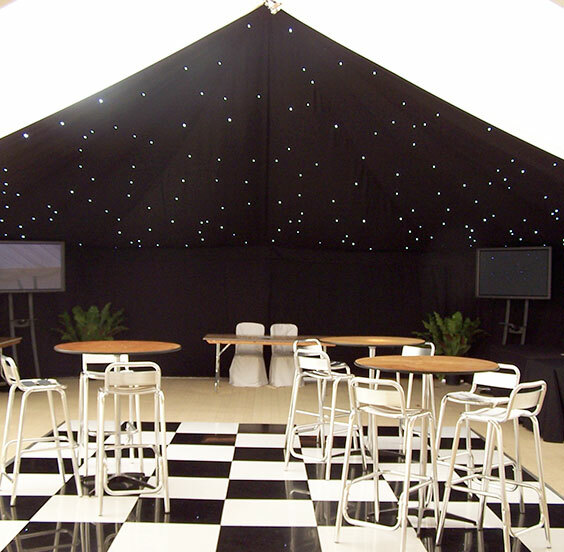 Having a marquee allows you to create whatever you wish! 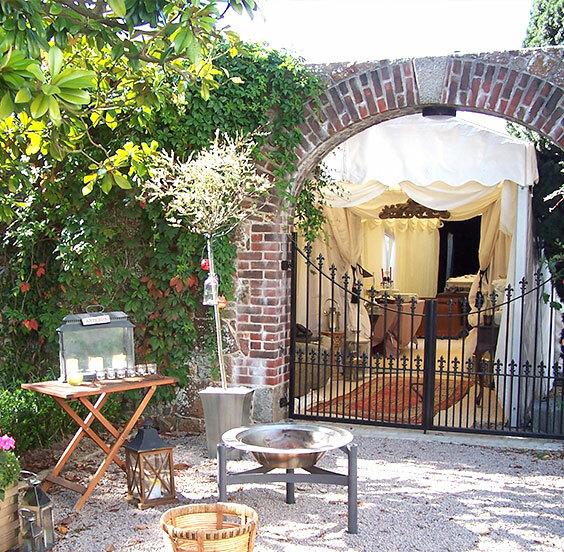 They can be long, square, L-shaped, romantic, classical, vintage, rustic, bohemian.. the list really is endless. 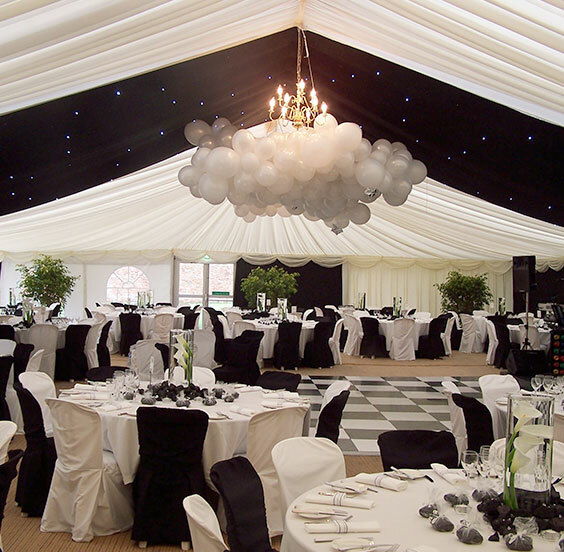 With our many years of experience we can help your dreams become reality. 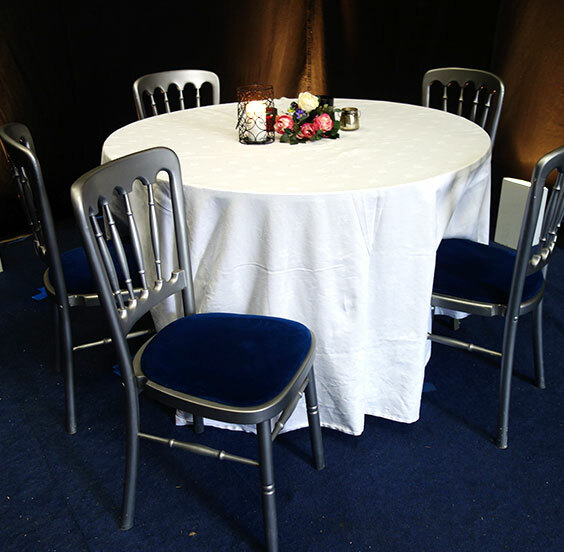 Are you are looking for additional tables and chairs for a meeting? 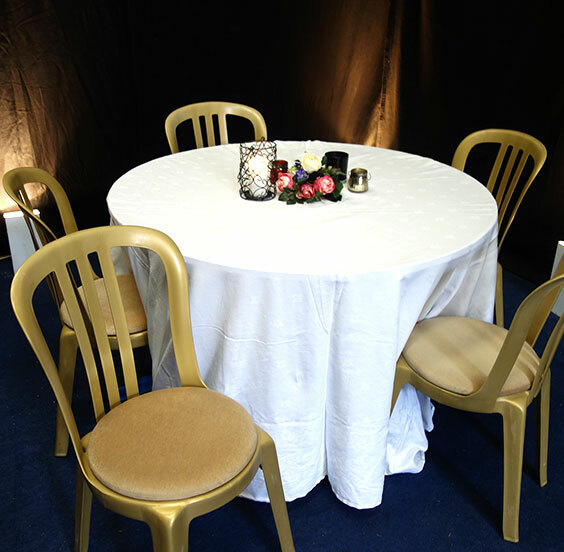 Are you looking for something to help turn your quarterly drinks into something special in the office? 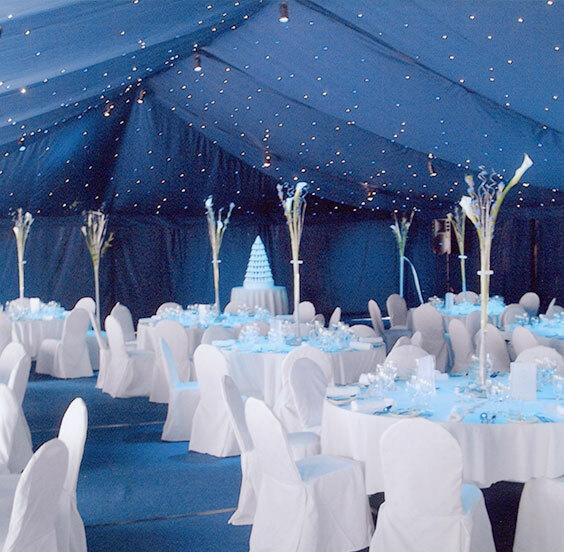 Are you planning a summer ball or Christmas event and stuck for a venue? 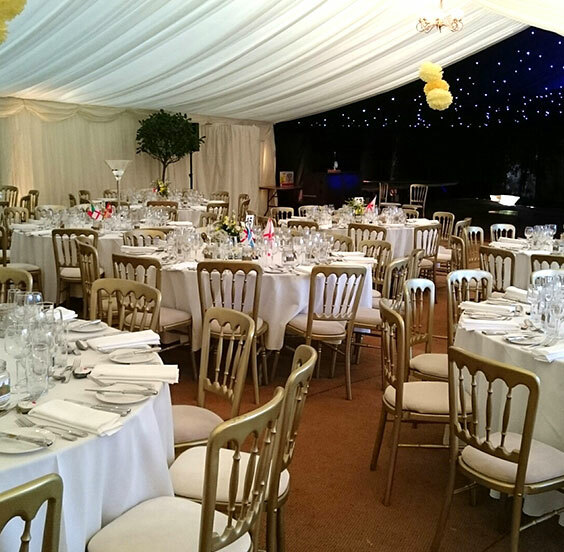 Organising a corporate event may seem daunting; we provide a one to one approach which builds a fantastic working relationship. 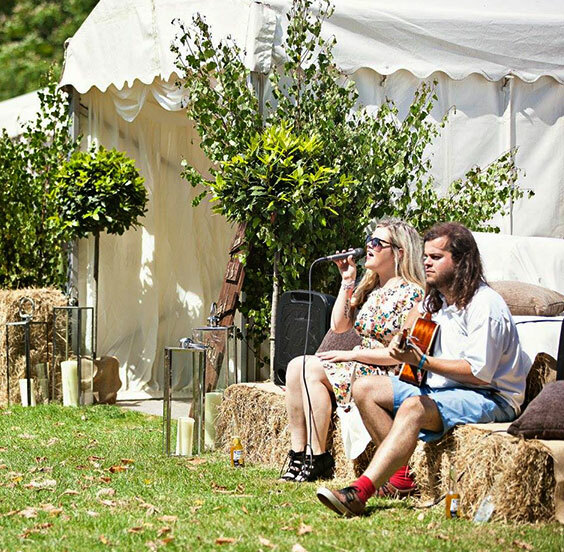 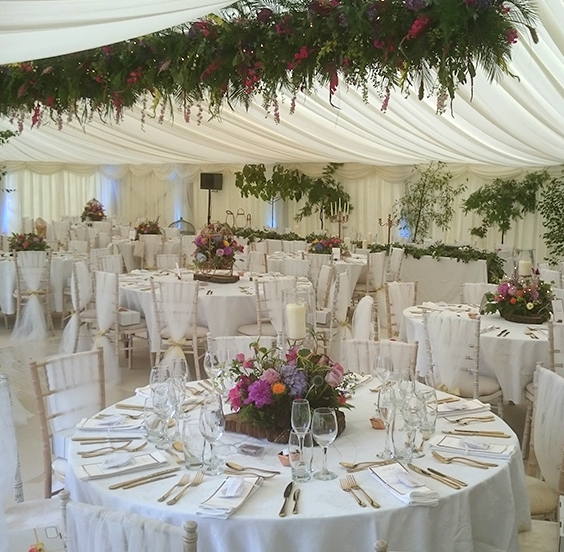 We understand that communication is the key and we liaise with all suppliers in the industry to make sure everything fits together perfectly, whether it is a small Company barbeque on the beach or a grand summer ball, the attention to detail is always maintained. 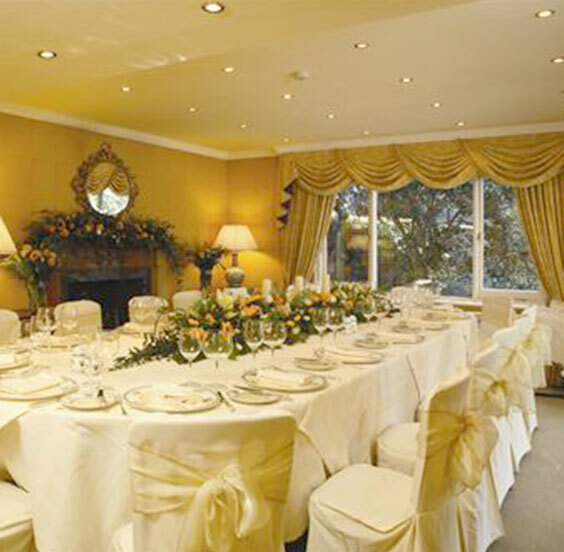 For more information to see who we recommend please visit our Links page. 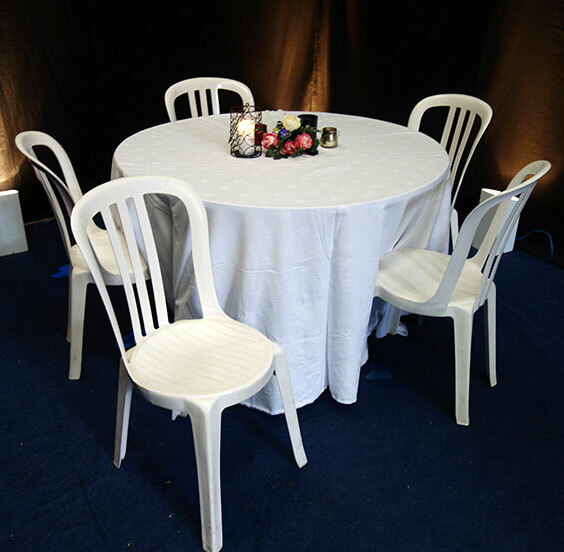 We stock a huge variety of furniture, lining and floorings to help match the Company colours or to create the theme desired. 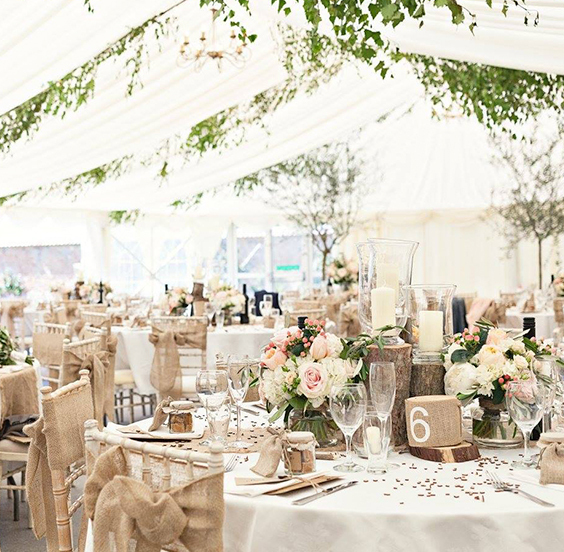 If we don’t stock the exact colour you are looking for we can source from our suppliers in the UK, nothing is a problem to us. 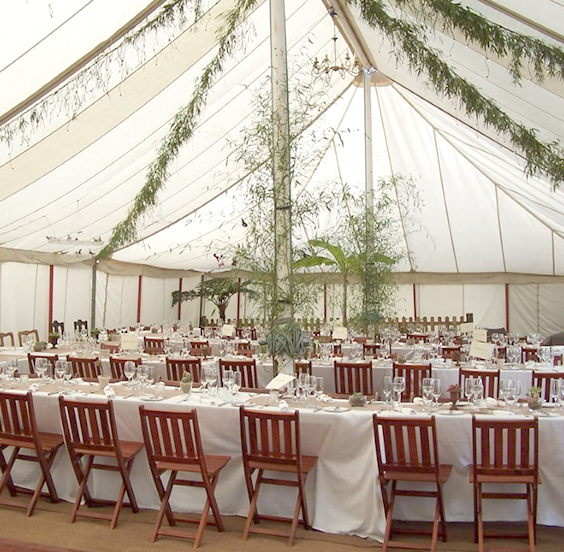 If you do not have a venue in mind for your event we offer a large range of sites from all over the island. 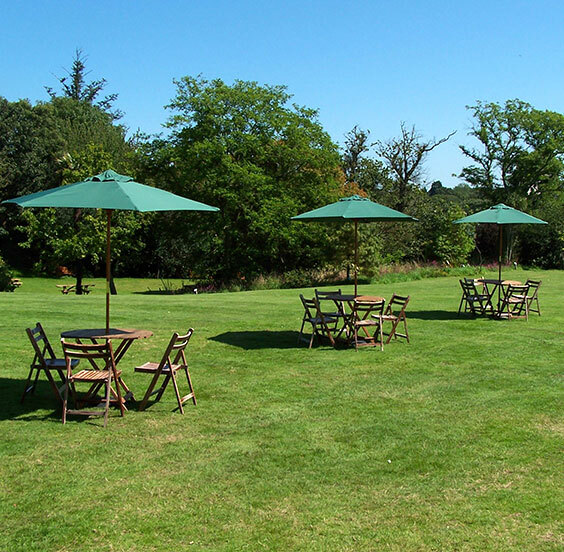 Please visit our sites page for more information. 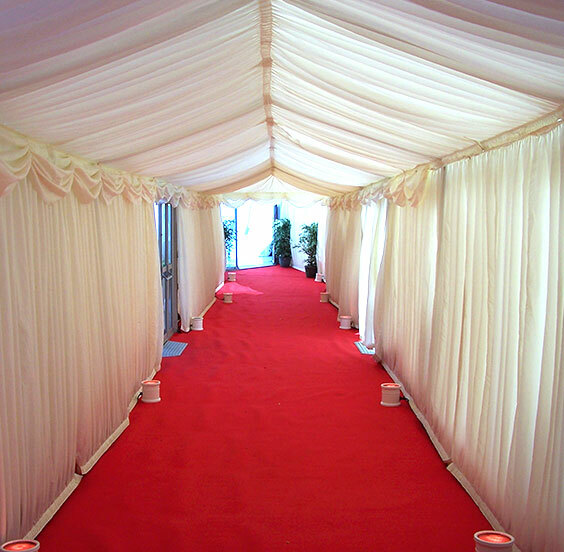 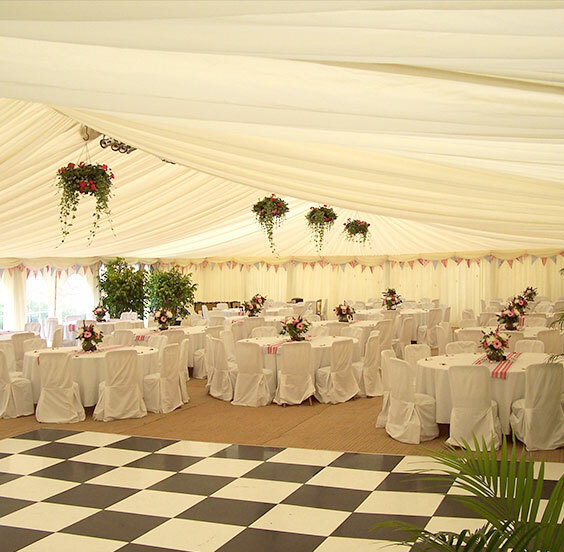 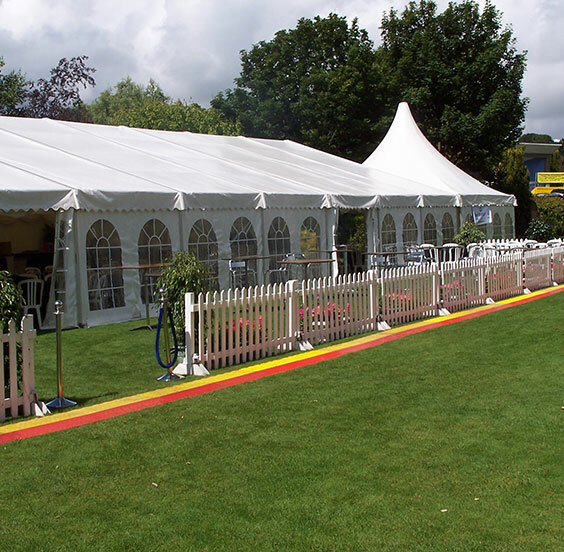 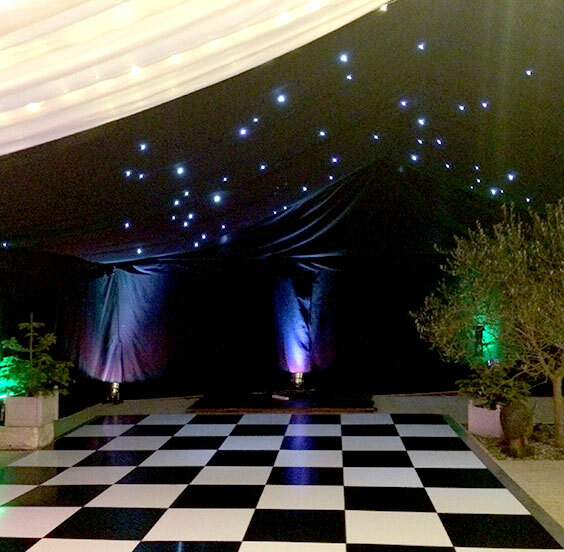 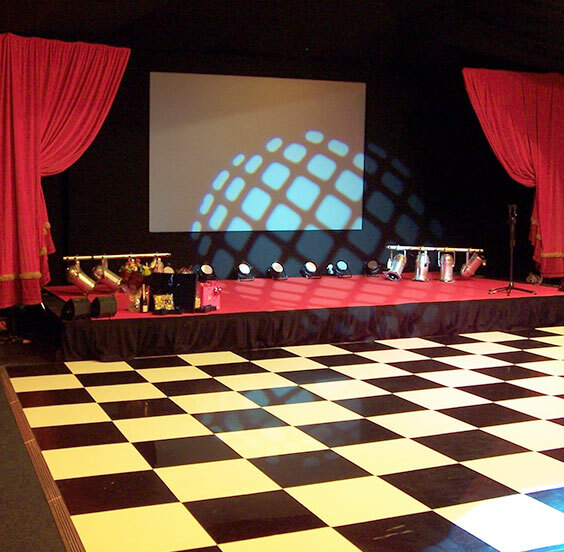 Marquees aren’t just for weddings, we stock a whole range of styles perfect for any occasion. 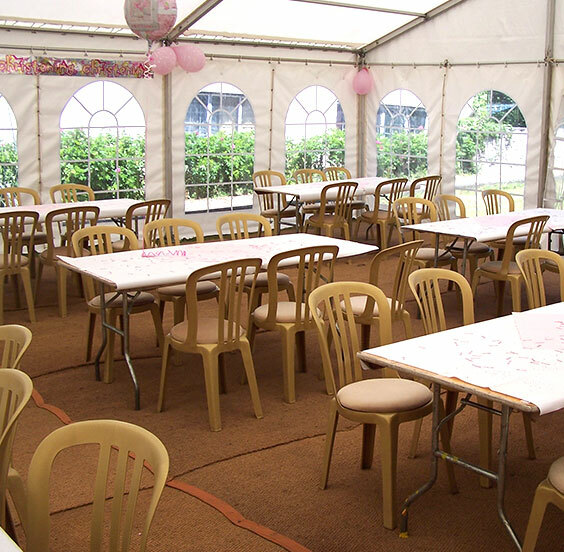 Whether it be a birthday party, house warming, surprise party, christening of your child, charity function; whatever the occasion we have something for you. 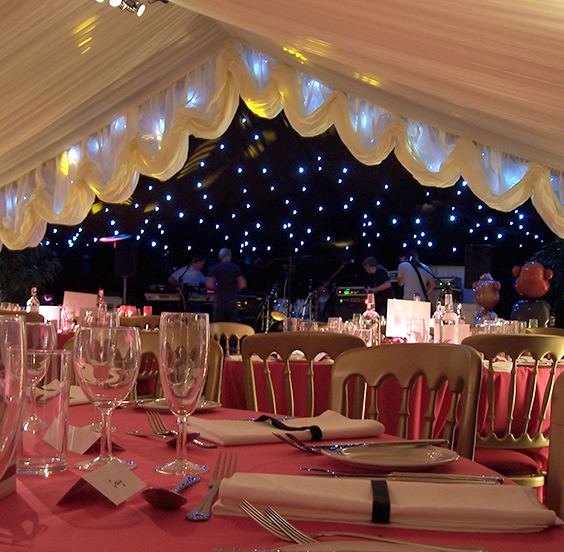 Your event can be as formal or informal as you desire, from guests seated to dinner and dancing to drinks and canapés. 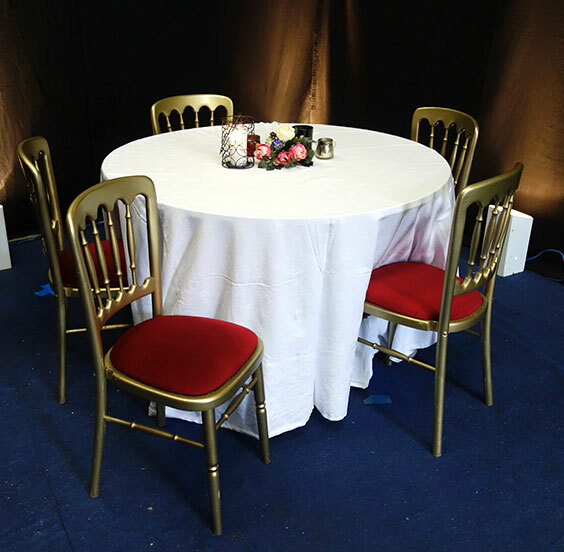 We stock several different types of tables and chairs and a whole host of accessories to make this possible. 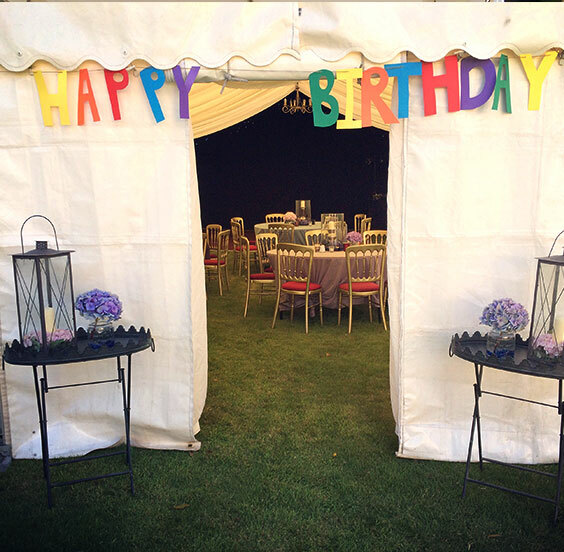 Organising a party need not be a stressful experience, we are here to help, offer advice and attend to your every need; no matter what the request. 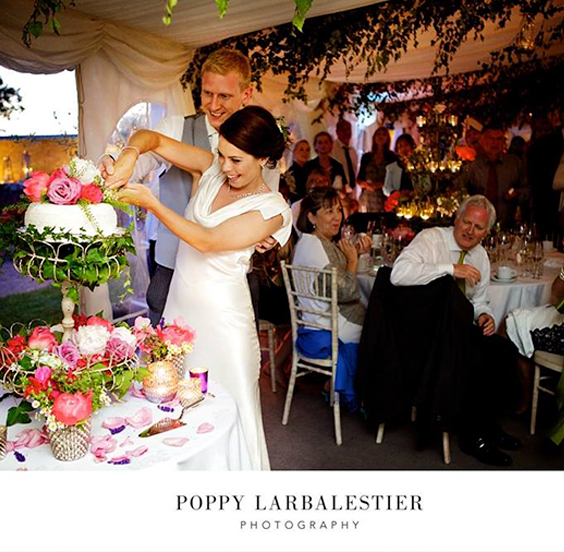 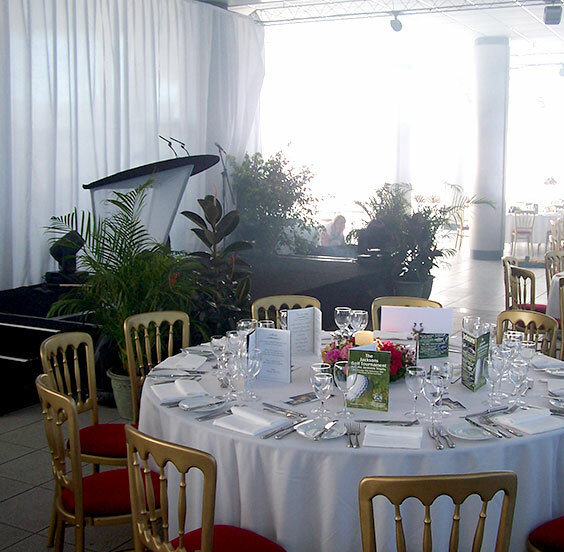 We have portfolios full of pictures from past events to inspire and show what we can create. 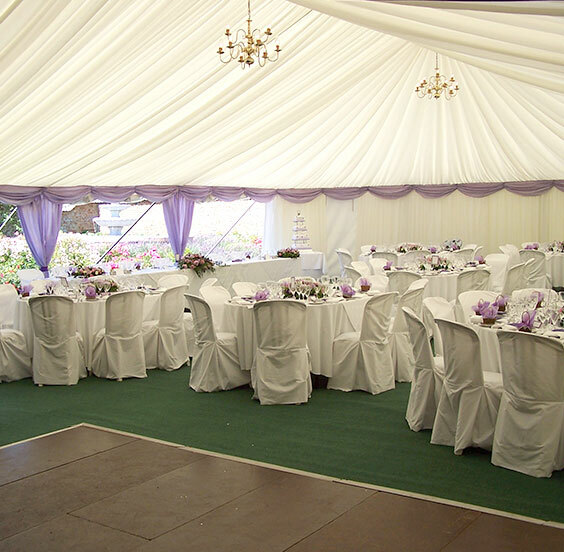 We also have sample books from our UK suppliers if we don’t have the colour theme you are looking for. 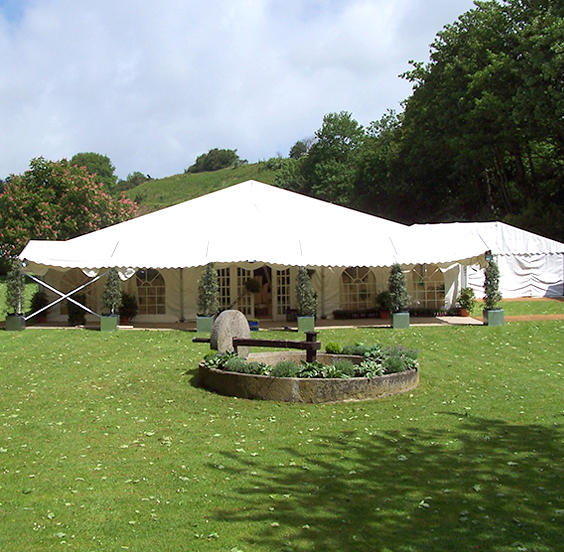 If you do not have a venue in mind for your event we offer a large range of sites from all over the island. 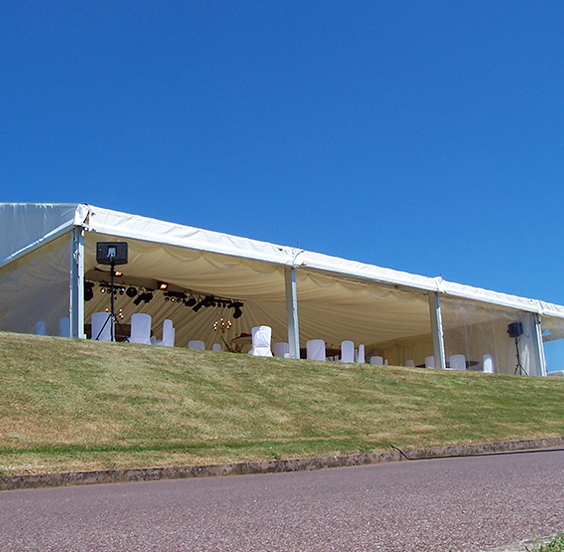 Please click here to view our sites we offer. 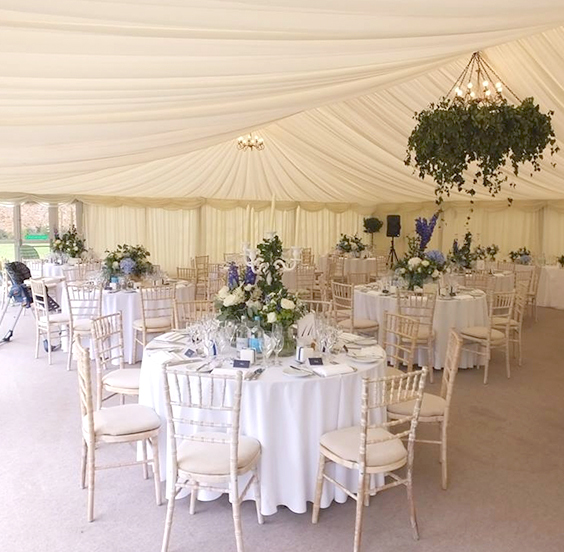 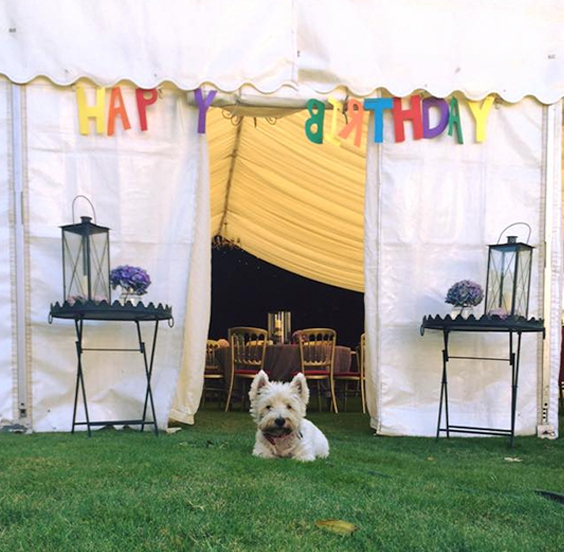 Working in the marquee industry we are in constant contact with a range of quality companies who provide the essentials for any event, for example, caterers, florists, photographers, mobile toilet and so on. 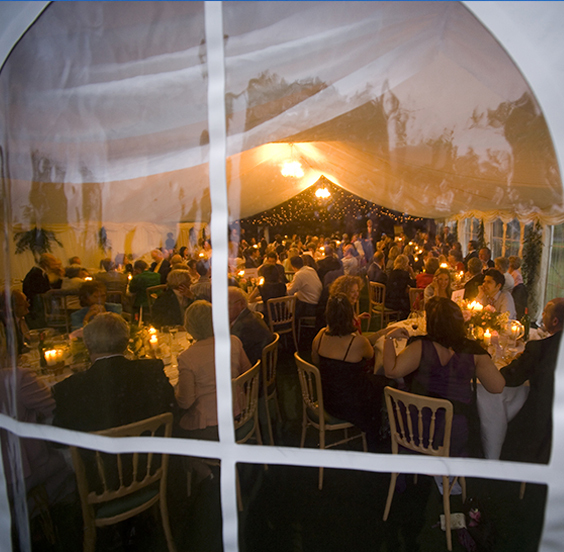 Please click here to view more information for suppliers we recommend. 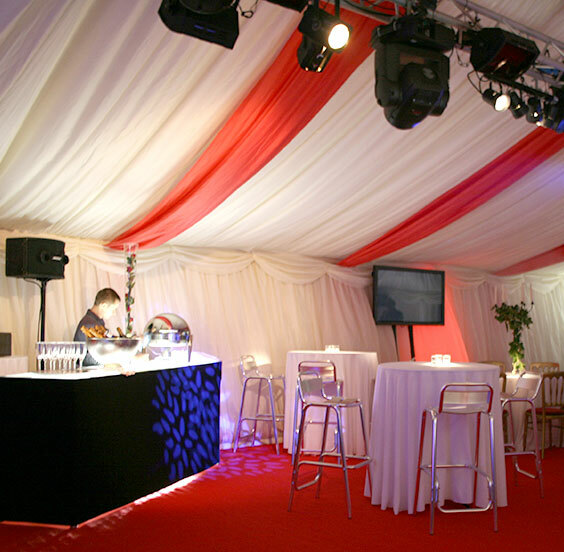 We are available for equipment hire throughout the year. 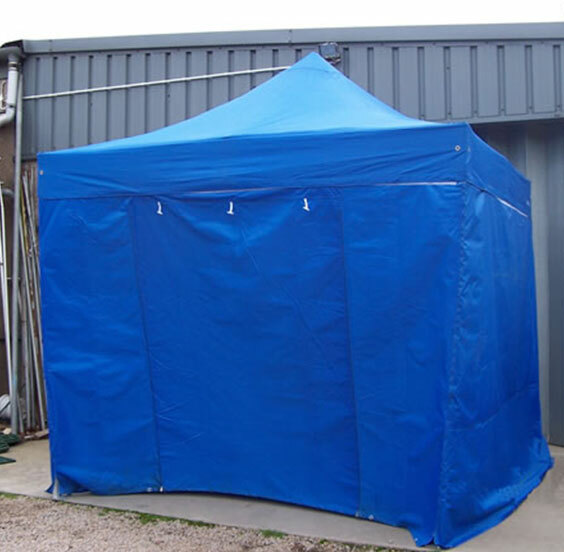 All equipment is delivered and collected, assembled and dismantled at a time convenient to you. 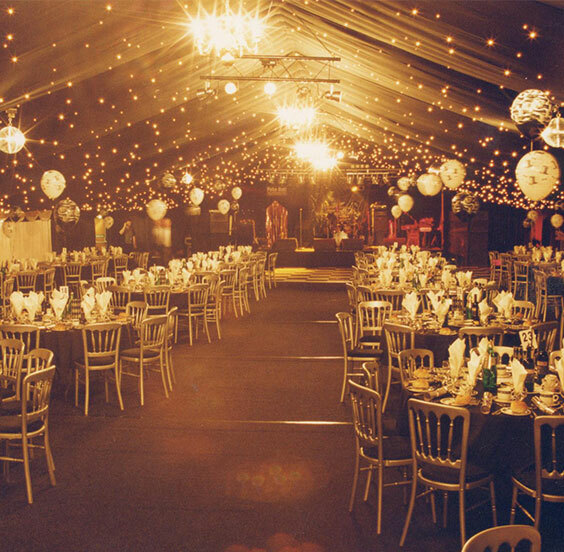 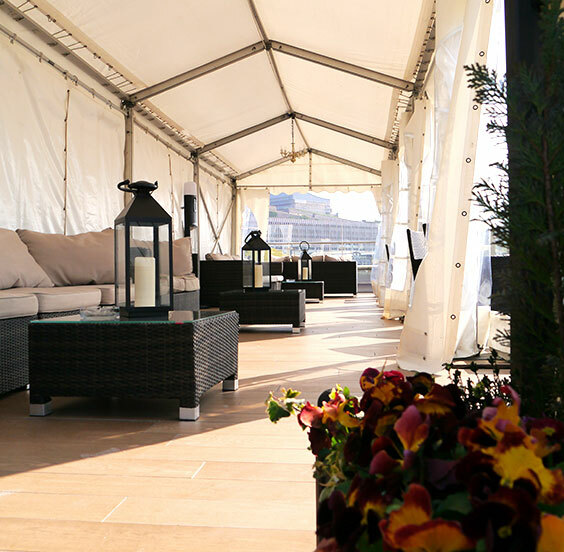 We have the knowledge and resources to transform your office, warehouse, garage, garden shed, out building or conservatory into a glamorous venue for your required function. 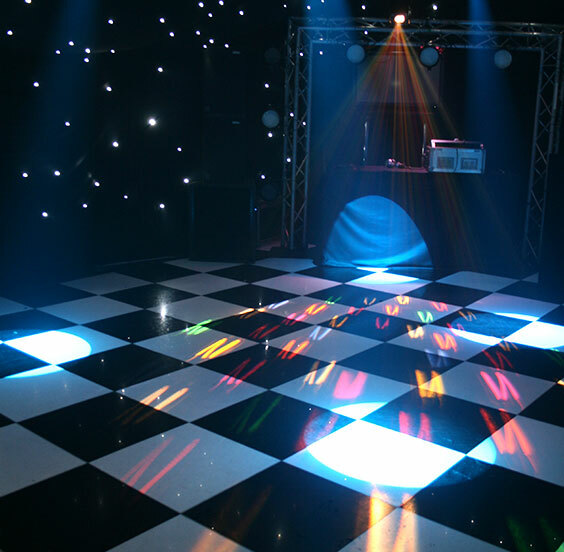 Due to the varied sizes of interior linings we hold in stock and various lighting effects we can accommodate all types of requirements and create a completely new and fresh space. 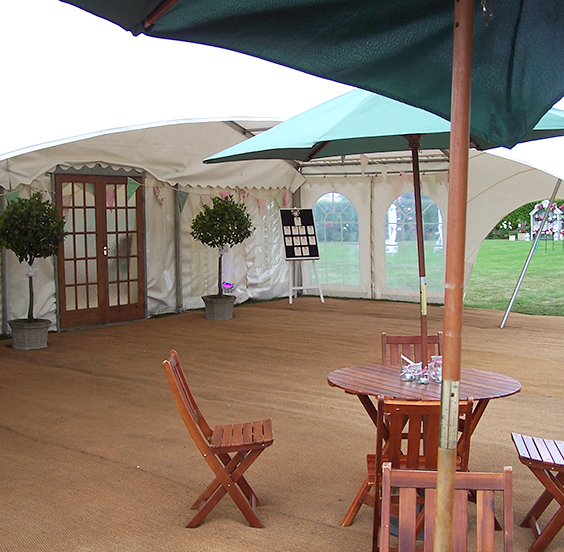 The weather may never need be a problem we supply complete heating systems. 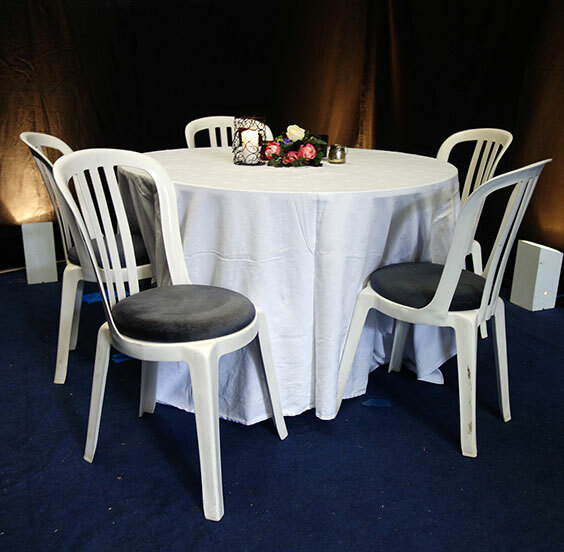 Please do not hesitate to contact us for more information, prices and to arrange delivery.